So, the London Film Festival has concluded. In spirit of this wonderful art form and without the privilege of attending the festival, I had my own little film festival. My festival worked like so: notepad, pen, bed and film…and of course the disapproving boyfriend, who can’t seem to comprehend why I can no longer watch a film without having to scribble in my notepad. To be honest…so did I? I do! I blog about anything creative and inspirational… Strangely I seem to have flocked like a moth to a flame, with this whole blogging about film…(but that’s another post for another time). So, in tone with the London Film Festival I watched a film a night – my intention was to watch all the popular must sees that I haven’t seen or forgotten and those currently dominating the cinemas. So, I started with The Help, Drive, Crazy Stupid Love – which I have blogged about individually, and then I randomly selected a number of mostly great films, some not worth mentioning at all. Ayesha’s Film Festival begun with a number of films starring Kevin Spacey, starting with Iain Softley‘s K-Pax, 2001. I am yet to watch a Kevin Spacey film that I haven’t found enjoyable. He brings a certain density and texture to his characters and the films I have watched him act in. This ‘tone’ I refer to is particularly prevalent in films like Pay It Forward, in which he stars in with Haley Joel Osment and Helen Hunt and of course the miraculous American Beauty. 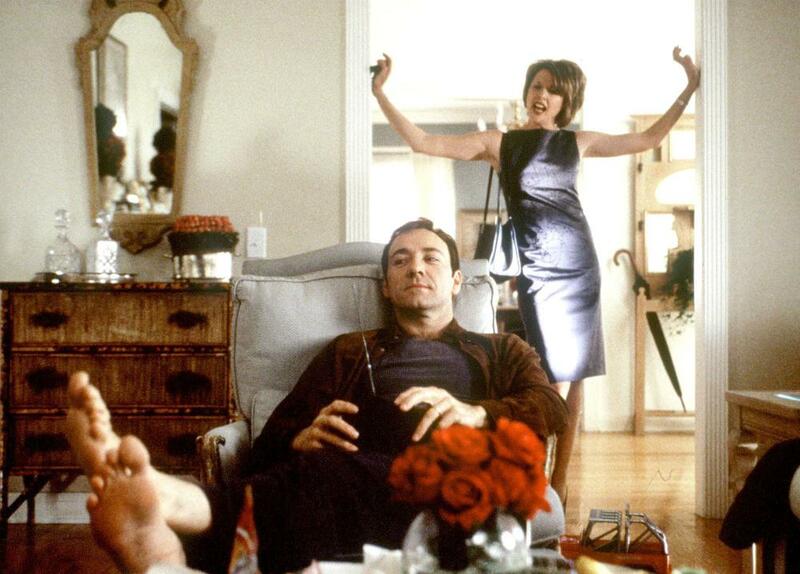 In fact it was American Beauty that truly made me recognise my profound respect for Spacey. American Beauty may have also been my introduction and appreciation of REAL film. I suppose it made me realise how intrigued I am by the human condition. After watching the film maybe one hundred times, I wrote my very own terrible screenplay, inspired by the film. Once discovering my admiration for character driven plot, I went on to explore an endless list of world film. I also watched a selection of other films starring Kevin Spacey, including John Swanbeck’s The Big Kahuna, with Danny DeVito. The film is predominately shot in a hotel room. Spacey and DeVito play two salesmen. The film features some amazing dialogue and a soundtrack that has stuck with me, Everybody’s Free to Wear Sunscreen, ever since I watched it two years ago. In fact…I think The Big Kahuna definitely deserves its own blog post (I’ll get onto that). I then watched A Time To Kill, with Matthew McConaughey, Samuel L Jackson and Sandra Bullock. This is a particularly important film to me. I discovered it when I was studying To Kill a Mockingbird for my GCSE’s. During the summer of 2000, I watched A Time to Kill possibly twice a day. I dissected the film shot by shot and learnt it line for line…It might be apt here to reveal…if I haven’t already, that I have a particularly addictive personality. Towards the end of my ‘A Time to Kill’ stint, I was just forwarding the film to my favouritse scenes or lines. And many shots of McConaughey’s ripped torso. Although Kevin Spacey isn’t a protagonist in A Time to Kill, and although each time I watch the film I hate his character more and more, his court room scenes are absolutely spectacular. When an actor can evoke such hate in you, they’re definitely on to something. Naturally, I can’t help be drawn to Spacey for other reasons besides his acting. As an aspiring playwright I am particularly fond of his directorship at The Old Vic and even moreso I respect his ability to remain obscure from the press. So…I suppose this little stream of consciousness, totally inspired by Kevin Spacey, is my homage to him and all of the films he makes a presence.